Born in our nation’s capitol Washington, D.C. served as the rearing site for this music prodigy discovered by friend and hit-making collaborator Stacy Lattisaw. Johnny Gill has a career that many could only dream of. From his humble beginnings honing his indelible singing skills in the gospel group Wings of Faith to performing globally in countries such as Russia, England, South Africa, Amsterdam, and Japan for millions of fans as a multi-platinum selling solo artist and member of two legendary singing groups, New Edition and LSG, has afforded the true voice of R&B longevity and unequaled success. The perfect example of how an R&B singer should look, perform, sing, and carry themselves are the qualities that Johnny brings to the table. The ultimate professional Johnny is admired by many fellow superstars who in addition to loving his one of kind voice cherish his unyielding work ethics most evident in his vast list of collaborations with A-1 music icons such as: Janet Jackson, Stevie Wonder, R. Kelly, Boyz II Men, L.A. and Babyface, Jimmy Jam and Terry Lewis, jazz legend George Howard, and the late, great Rick James. A true humanitarian of the highest kind is what prompted our Nation’s 41st President George H. W. Bush to appoint Johnny as the national spokesman for the Points of Light Movement, a campaign that recognizes everyday men and women making a difference in their communities. Mr. Gill is also involved in many non-profit organization dealing with kids with Autism. Johnny has been involved in the past couple of years in Shields for Families which is dedicated to serving, advocating for and empowering high risk children, families and communities in South Los Angeles. A living example of God’s divine power Mr. Gill’s one of a kind talent is the true measure of the ultimate crooner. Having won numerous awards as well as appeared in several films and television shows has allowed the finely chiseled, always debonair Johnny Gill to remain relevant at a time when many artists with similar experience have become non-existent. As he settles into the role of music’s “elder statesman” the proud father refuses to let age define or dictate the greatness bestowed upon him. Proof of his staying power, Mr. Gill regularly receives requests from some of the most successful artists, producers, and songwriters of today vying to work with the soon to be hall of famer. As much an entrepreneur as he is a singer is what motivated Johnny to launch J Skillz Records. As Founder and CEO, Mr. Gill is looking to find the new voice of R&B music. 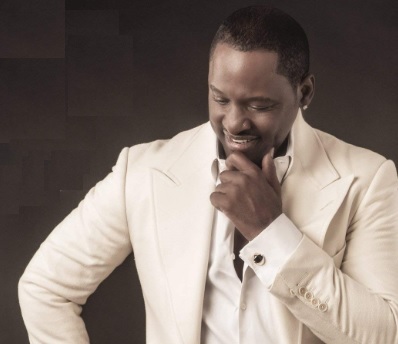 However, in the meantime, fans need not worry because after a 14-year hiatus as a solo artist the man with the golden voice is back making the type of hits that will have the world saying, “My, My, My, that Johnny Gill”. Never one to sit idle Johnny is one of the few artists regardless of genres to tour consistently throughout their entire career. Touring most recently with the leads of New Edition Ralph Tresvant and Bobby Brown as one third of the super group Heads of State. However, it’s the massive buzz surrounding his latest project; his new solo album entitled “Still Winning” which was released in 2011 on Notifi Records and distributed through Fontana Distribution that had Johnny poised to change the face of music once again. Loaded with a bevy of instant classics like the cd’s debut single “In the Mood” written by Dave Young, Johnny, and Ralph Stacy along with “Black Box” written and produced by multiple Grammy winner’s Jimmy Jam & Terry Lewis, “Let’s Stay Together” written and produced by hit maker extraordinaire Bryan Michael Cox & J. Que, “It Would Be You” produced by Troy Taylor and written by R&B sensation Trey Songz, “Trains, Planes, and Automobiles” written by Wyclef Jean & Johnny, and “Been Loving You”, a song that reunites Johnny with L.S.G. group mate Keith Sweat and Rock & Roll Hall of Famer Eddie Levert. Setting the stage for an album guaranteed to be at the top of both radio station’s and real music lovers’ playlist the world over. Generally considered the number one R&B crooner alive is a distinction well deserved by a true gentleman who will undoubtedly go down in the annals of music history as arguably the greatest singer to ever pick up a microphone… The Voice Johnny Gill. R&B legend Johnny Gill coming off a very successful “Road to the 30th Anniversary” tour in 2012 with all 6 members of New Edition, Mr Gill released his 3rd single “Just The Way You Are” from his critically acclaimed album STILL WINNING. The single was produced by Troy Taylor and Vincent “Invincable” Watson and Co-Written by Grammy Award Winning singer/songwriter Johnta Austin.”Just The Way You Are” is receiving rave reviews from urban radio major markets such as New Orleans, Philadelphia, Baltimore, Chicago, Charlotte and on Sirus/XM Satelitte. Following the amazing response of his 2nd single “It Would Be You” which was also produced by Troy Taylor and co -written by Grammy nominated singer/songwriter Trey Songz, Patrick Hayes and Troy Taylor. “It Would Be You”, also followed the lead of the smash first single, “In The Mood” which climbed the Top 5 on the Billboard Urban Adult Singles Chart and the Top 20, on the Billboard Hot R&B and Hip Hop Singles Chart. “Just The Way You Are” kept Gill sounding as contemporary as Usher, Ne-Yo and today’s other chart topping R&B stars. The mid-tempo vibe of the song fits perfectly on all radio formats yet reminds his fans that he is still one of the best, most powerful vocalist around. “It’s a blessing to be able to record again after 16 years and I’m so excited that my fans are enjoying the new music,” stated Gill. In 2012, Johnny Gill was honored when asked by TV One to tape the episode of UnSung-Johnny Gill. The episode aired March 20, 2013 and was hailed by TV One as the most watched UnSung episode. In August Johnny Gill completed the sold out New Edition “All Six” Summer Tour and topped that off with the release of Johnny’s new single “Behind Closed Doors” produced by Chuck Harmony, which impacted radio and was released August 12, 2014 and of course is blazing ALL the radio stations across the country and have quickly climbed the charts into the top 10. The video for "Behind Closed Doors" has a surprise twist ending with Nicole Murphy's guest appearance. The new album is called “Game Changer” whose title track was written and produced by Babyface. “Game Changer” also consist of a long awaited recording with New Edition with the beautiful song, “This One’s For Me and You” f/ New Edition. “Game Changer” was released on Mr. Gill’s own label, J Skillz Records with Joint Venture with Caroline/Capitol Records on Dec 9, 2014. Mr. Johnny “The Voice” Gill will be coming to your city soon…..to get you “In the Mood” to be “Behind Closed Doors”…..It’s gonna be a “Game Changer” for sure!! !